Gar Travis, a 1978 graduate of Fork Union Military Academy and United States Coast Guard Veteran served as a numismatic research consultant for more than fifteen years in North Carolina following his enlistment. He dabbled in film photography; establishing himself as a professional in 1989 and was an early experimentalist in the field of digital numismatic photography. Moving to California in 2004 he assumed a position with one of the world's largest numismatic auction houses; Greg Martin Auctions as a senior numismatist and chief cataloger. Gar retired from his numismatic position after serving nine superb years seeing the company grow globally and being recognized as a Fortune 500 Company; which is known today as Stack's-Bowers Galleries. Wanting to show where he has been and what he has seen to his long time friends in North Carolina and willing to share his visual captures with the world, Gar offers this web site. A "one of a kind" his fellow photographers call him; as he is a philanthropic professional photographer - giving his services in exchange for substantial donations to several youth based non-profits he endorses. Giving his time and talent Gar is the Chief of Photography of Powered Sport Flying magazine, a contributing editor to The NUMISMATIST magazine, Chief Entertainment Photographer for the Renaissance Pleasure Faire® of Southern California, Ship's Photographer for the American Pride and an Adviser to the Children's Maritime Foundation. Gar is the author of the book; Cyprus Coins, which he also photo-illustrated. The text was published in 2006 by the Cyprus Museum. The book offers a numismatic chronology of Cyprus and features coins housed in the museum. No photographs on this website are for sale. 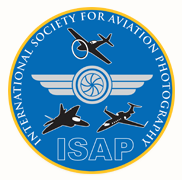 Museums and non-profit organizations associated with events photographed including Air Shows and Reenactments may obtain digital images of their event free of charge upon request. Such requests must originate from marketing or public relations representatives of those events. Please provide: contact name, title, mailing address and telephone number as well as 501(c) (3) non-profit information. If the photographs are to be used on a web site or in print, credit as to source must be given in addition to a link to this web site. If your organization is not a non-profit and would like to have my photography services, please contact me. I will provide my services in exchange for a sizable donation to a non-profit organization of my choice in your name or the name of your organization. My services are limited to Southern California from Bakersfield to the Mexican border. It will be my sole decision if my photography services will be provided. If the event or activity is suitable for inclusion on my web site, the photographs will be made available there as well in addition to being placed on CD for your use. There are no printing services or photographic packages available.